This bouquet is reminiscent of a beautiful flower field in Spring. 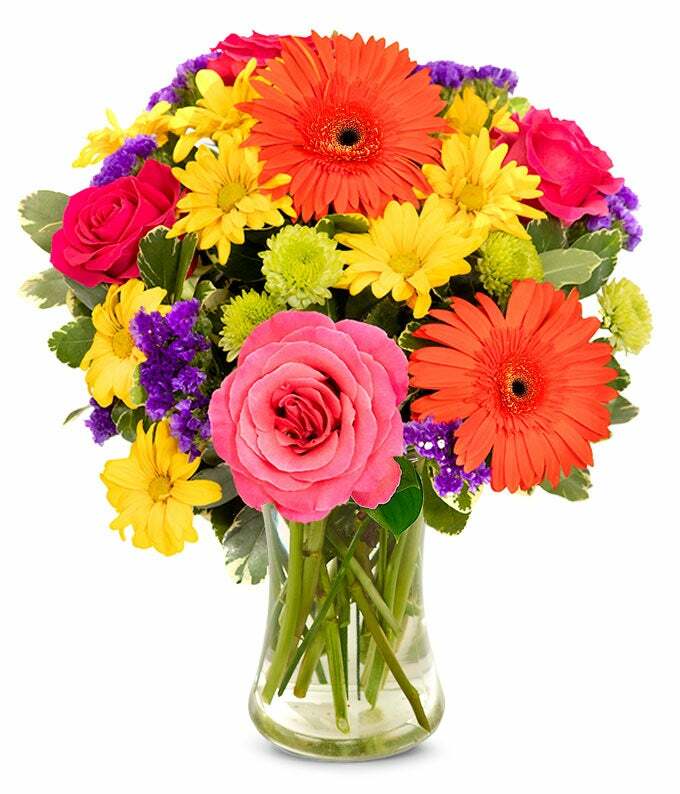 Amazing orange gerbera daisies are paired with pink roses and yellow daisies to make this a bouquet that is both cheerful and elegant. Send this beautiful bouquet for a Birthday, Get Well, or Anniversary gift and they are sure not to forget it. This bouquet is available for same day delivery so don't hesitate to make their day!